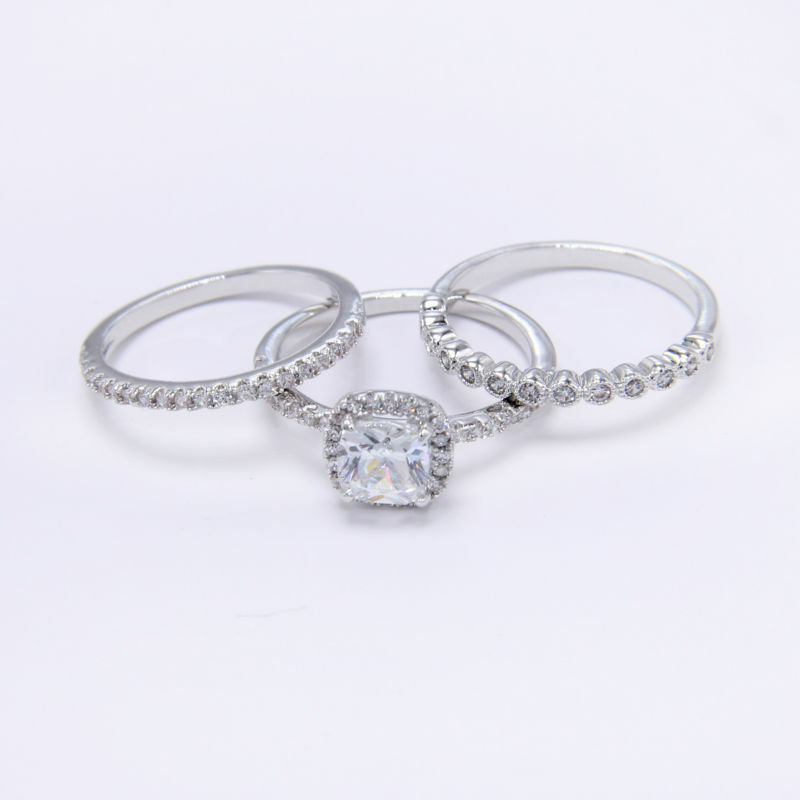 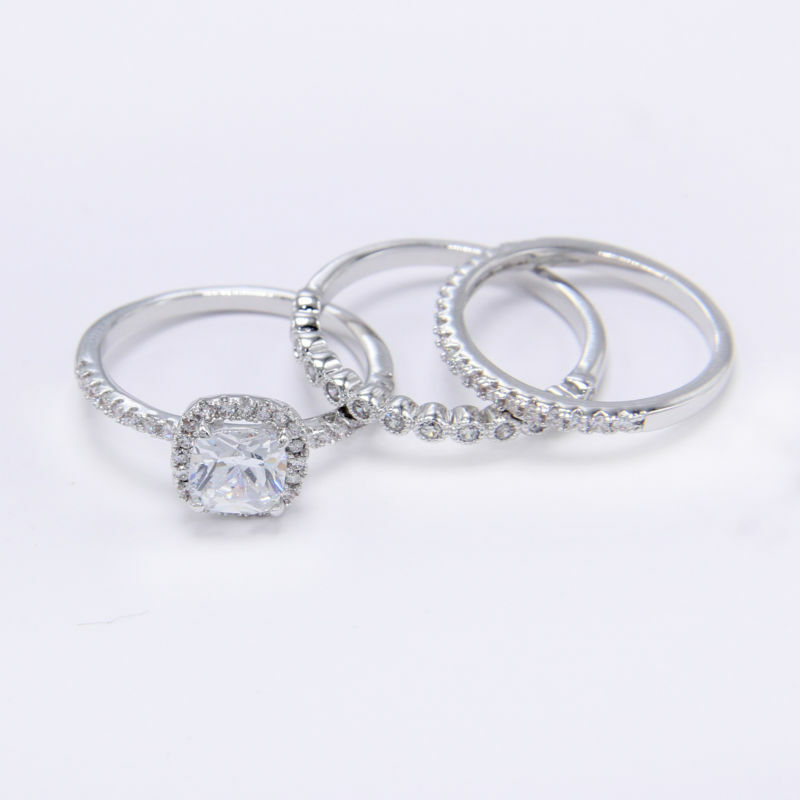 Women's beautiful petite 3 pieces AAA grade cubic zirconia wedding ring sets.Crafted from 925 Sterling Silver. 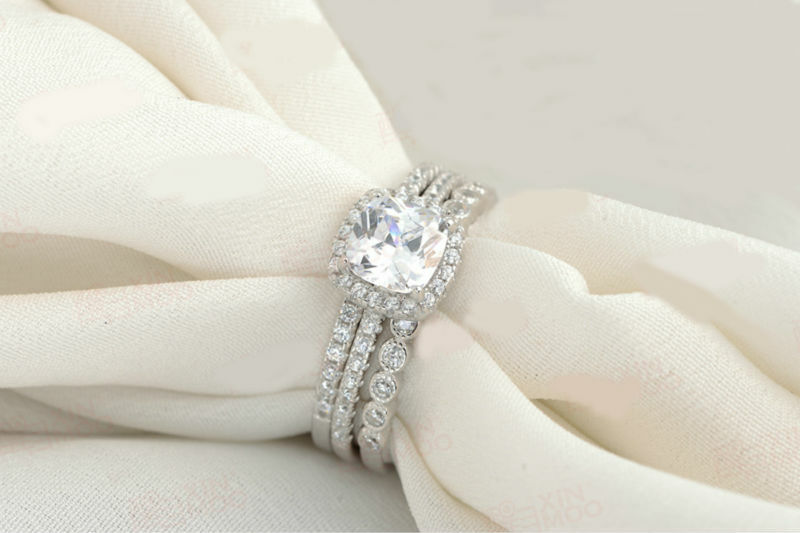 the center of ring showcases 1 Carat Radiant Cut 6.5mm AAA grade white CZ, accented by 26 pcs brilliant white topaz. 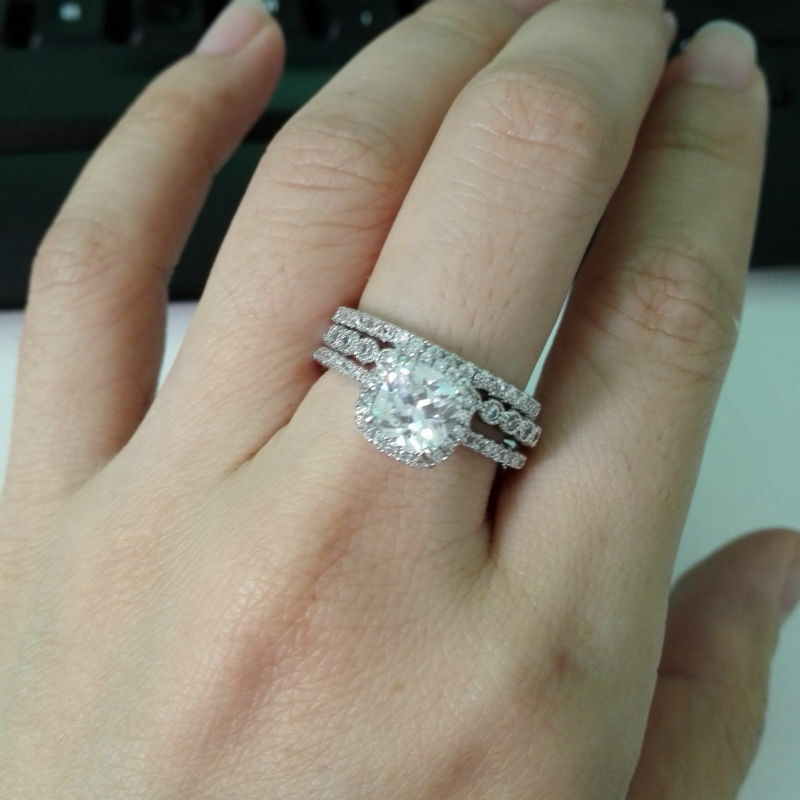 Two Bands inlaid 44 Pcs small CZ.